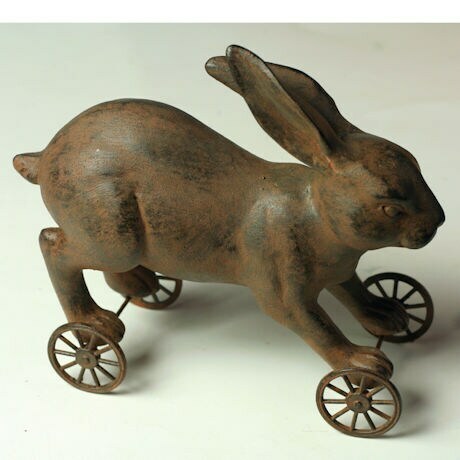 Animal pull toys were popular in Victorian nurseries. 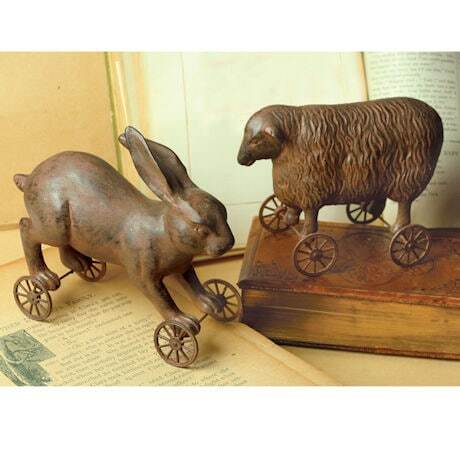 These decorative reproductions are full of old-fashioned charm. 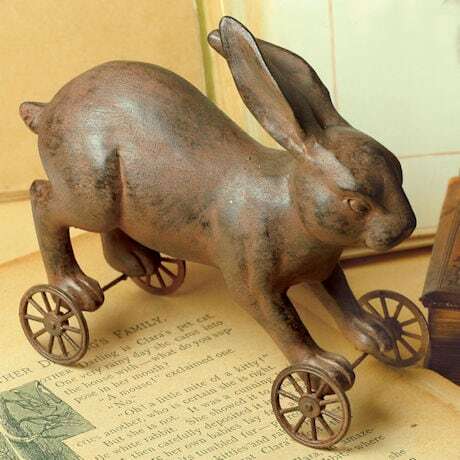 Cast resin with an antiqued iron finish, they rest on wheels that turn. Each is about 6" long, 5" high. Meant for display, not for play.